Link is the mighty and courageous hero. Many different Links have risen to the challenge of defeating Ganon and a multitude of other evils. Selfless heroes who save the world and are remembered for all time. But why? Obviously Link has a strong sense of justice, and he cannot stand by while the world is overrun by evil forces. The player is motivated to save the world because he or she wants to experience the game. But don’t you think there’s something missing? Why would you even want to save a world that has no one in it to save? “Are you stupid?” you must be thinking. “There’s tons of people in Zelda!” Yes there are! But what purpose do they serve? What depth do they have? Why do we even care about them? The answer is we don’t. Throughout the series we’ve spent our time battling monsters with our new-found weapons and pushing blocks to solve puzzles, but the people we’re trying to save are really just insignificant blips during our time with the game. Outside of the major characters, we don’t hear much at all from the game’s cast. Admittedly, it isn’t the most crucial thing. The game-play has always been magnificent, and even the story has excelled with it being this way. That said, it can only be a good thing to expand on the cast of characters and flesh them out. Plenty of the characters are endearing or likable. Aside from the generic types which will always remain generic, we all love the characters. But likable or not, most of them lack depth. I found myself not really caring about their story. Maybe that’s natural though, considering they didn’t have one. There is only one game where I feel the characters and their depth were handled perfectly, and that is Majora’s Mask. I’ll explain why. In Majora’s Mask we found ourselves in an especially dire situation. This time we weren’t preventing a tyrant from taking power, but preventing the world itself coming to an end. The situation was desperate and hopeless, and you felt it because of the people. If there was just a moon hanging up there in the sky, we wouldn’t notice. If there was just that time limit, I don’t think we would have panicked. It was the dread spread by the people; it was how their lives were affected. Some people were terrified outright, while others had their lives rocked by the events happening around them. Still others were victims of cruel pranks by the Skull Kid, the same villain responsible for the impending apocalypse. These people clearly suffered from what was happening to them. But it went farther. The way the game was built around the Time Cycle, it had us following people around on their daily activities and waiting for events to line up. We got a glimpse at what it was like to live in Termina, what the lives of the people were like and of course how the events of the game affected them. Sidequests were built around helping people either overcome what ailed them or just helping them with normal activities. Through the Anju & Kafei quest, the individual stories of the four areas, and just the lives of the townsfolk and other NPCs were laid out in incredible detail, we saw a lot of depth added to the characters, the story, and the game as a whole. There were even cases of characters literally spilling their guts and telling you things about their life. The characters were to me by far MM’s strongest quality, the one thing it excelled at beyond any shadow of a doubt. One might think that this was purely because the game was sidequest-based, but you’d only be half right. Obviously something like this would require additional focus on side-elements of the game (although they wouldn’t necessarily have to be an actual quest or challenge, that would likely be better that way). That doesn’t mean Nintendo couldn’t work the same concepts and execution into a more focused and linear story. It WOULD take more time and work, however, and perhaps that’s where our problem lies as far as seeing it happening is concerned. 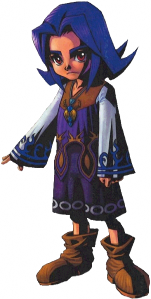 In a way, this fact about Majora’s Mask implies we need to have a dark game – have something horrible happening to people – to have great characters. That’s a bit too cynical for my tastes. I don’t think events pertaining to the characters are necessarily less deep just because they’re not dark. In a way, if the only reason the characters are interesting is because of something horrible happening to them, then that’s kind of a cheap way of adding depth. There’s another way it can work out. Now to be fair, other games in the series have handled the characters fairly well. The Wind Waker and Twilight Princess come to mind. I cared about quite a lot of the characters in both games. The main issue is that pretty much all of them were still tied to the main plot. But maybe that’s more enlightening than disappointing, as it points out a way to present the characters in a deeper way. If the characters are interesting because they’re tied to the plot, why not turn more of the sidequests into their own plots, much like the Anju & Kafei quest? They don’t necessarily need to be as big, they just need to have an actual story tied to the relevant characters instead of being an excuse to get an item or play a minigame. Either way you go, it seems like the only ways to make it go right is to either ramp up or completely focus on the sidequests. In a way this is true. You need a story to fully enjoy a character. Giving you facts about the characters is interesting (and perhaps an advantage to having an in-game journal of sorts), but to really appreciate and care about the character you’re going to have to see him or her in action, in a story either big or small. Then of course there’s the more generic characters, nameless and occasionally borderline faceless people who are often thrown in to either fill in an area to make it seem realistic or to spout a single note-worthy piece of dialogue for you. But what’s the fun in that? Going with what I said earlier, what about using generic characters to give you more information on more major or at least sidequest-related characters? Taking it further, how hard would it really be to give the grunts their own little stories? Most of the time in Zelda, the grunts never say anything different. You can talk to them a thousand times, after every event in the game, and nothing changes. How hard is it for their dialogue to change, or even for it to mean something and tell a silly little story or build the character even in a small way? I imagine all you’d need is a guy to spend a few hours writing out a bunch of lines of dialogue and a small amount of effort implementing them all. While it would take SOME time and money, it would add so much charm and replay-value having that added depth. With the characters, depth is key. Whether quaint little tidbits like I just suggested, or bigger involvement from small characters like in Majora’s Mask, there’s nothing to be lost by trying to do more. It can only make the experience more enjoyable. Those who still don’t care about the characters can play like normal, but these smaller stories within the story and world are there to be found and to add depth to the game and the experience. And of course we’ll actually care about the people of the land we save, which if everything comes together could mean we’ll be feeling much stronger emotions when the plot takes a dire turn and the story events play out. 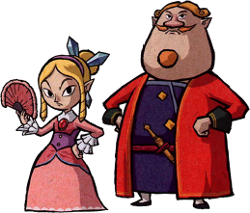 If we’re lucky, the rumors about Skyward Sword taking after Majora’s Mask on this front will prove to be true, and the game will truly step up the depth of the characters like that game did, or maybe even more.